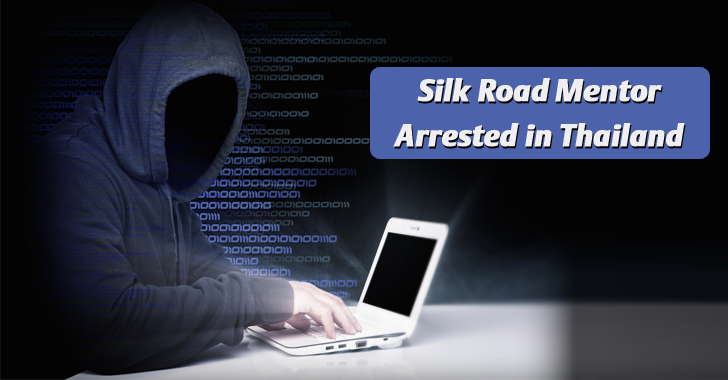 The man accused of being "a senior advisor" and mentor of Ross Ulbricht, the convicted operator of the illegal drug marketplace Silk Road, has been arrested in Thailand and charged with conspiring to traffic drugs and money laundering. Narcotics Trafficking Conspiracy – carries a maximum sentence of life in prison. Money Laundering Conspiracy – carries a maximum sentence of 20 years in prison. If convicted, Clark faces at least 10 years and as long as life in prison, according to a statement from Manhattan U.S. Attorney Preet Bharara. According to the press release, Clark used the online aliases of Variety Jones, Cimon, and Plural of Mongoose, and was paid "hundreds of thousands of dollars" for his work on Silk Road. "[Clark] was the biggest and strongest willed character I had met through the site thus far," Ross Ulbricht wrote in a 2011 journal entry. "He quickly proved to me that he had value by pointing out a major security hole in the site I was unaware of." Prosecutors also cited an online conversation in which Clark and Ulbricht discussed a plan to "track down" a certain Silk Road employee to ensure that he hadn't gone "off the rails." Clark reportedly commented: "Dude, we're criminal drug dealers – what line shouldn't we cross?" When Silk Road was shut down and Ross Ulbricht was arrested by the law enforcement in October 2013, Variety Jones disappeared. "The arrest of Roger Thomas Clark shows again that conducting criminal activities on the Dark Web does not keep a criminal out of law enforcement’s reach," said Diego Rodriguez, FBI assistant director. You can see the full press release of Clark case – U.S. v. Clark, 15-mj-01335, U.S. District Court, Southern District of New York (Manhattan) – here.